The original 4-injector Sniper EFI System is absolutely amazing in it's own right. But what if you want more? What if you want to do some serious power adders--turbo, supercharger, dry nitrous--and need either a bigger MAP sensor, more injectors--or both? 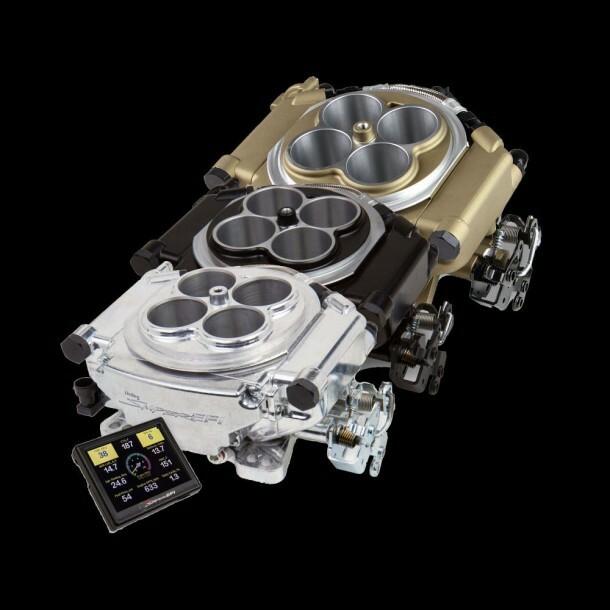 Until now, it meant a very expensive step up to one of Holley's impressive multi-point fuel injection systems featuring the HP or Dominator ECU. But now you get enough injectors to flow fuel for 1250 naturally aspirated HP in the 8-injector Super Sniper! But the number of injectors aren't the only thing they've upgraded. This Sniper has a big 2.5 BAR MAP sensor. So now you can do some serious blow-through power production! If you have an engine with a Holley 4150-style intake manifold then you are ready to start installing. 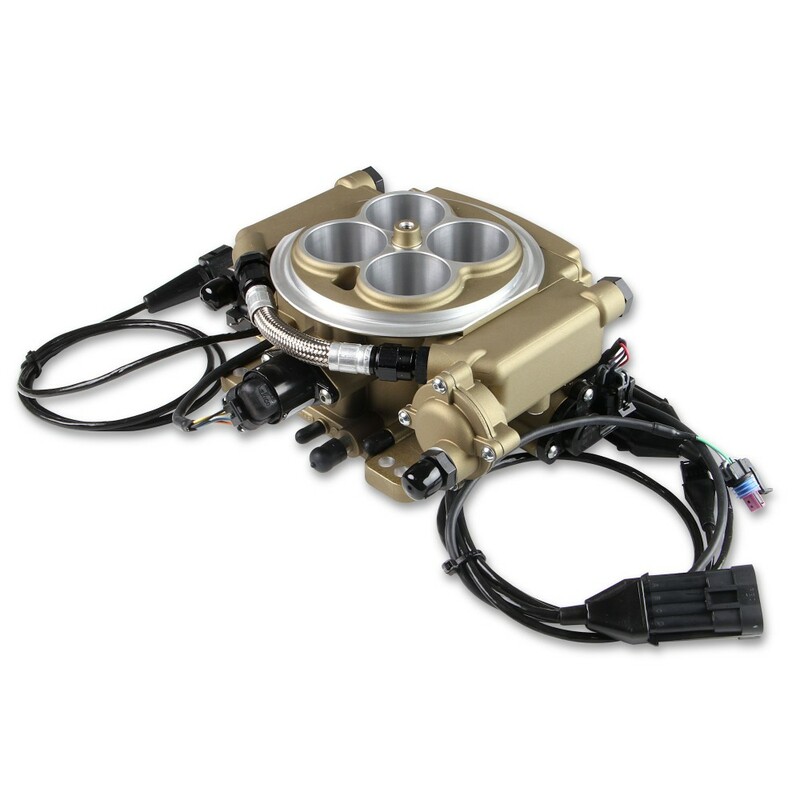 Bolt on the throttle body, put the linkage in place, connect the power and O2 Sensor, provide an EFI fuel supply. All that's left is walking through the guided setup quiz (with not-so-tough questions like, "what is the displacement of your engine") and the ECU located inside the throttle body itself does the rest. Holley knew that not everyone who wanted this rich set of power-adder features needed eight injectors so they also provide a 4-injector version. 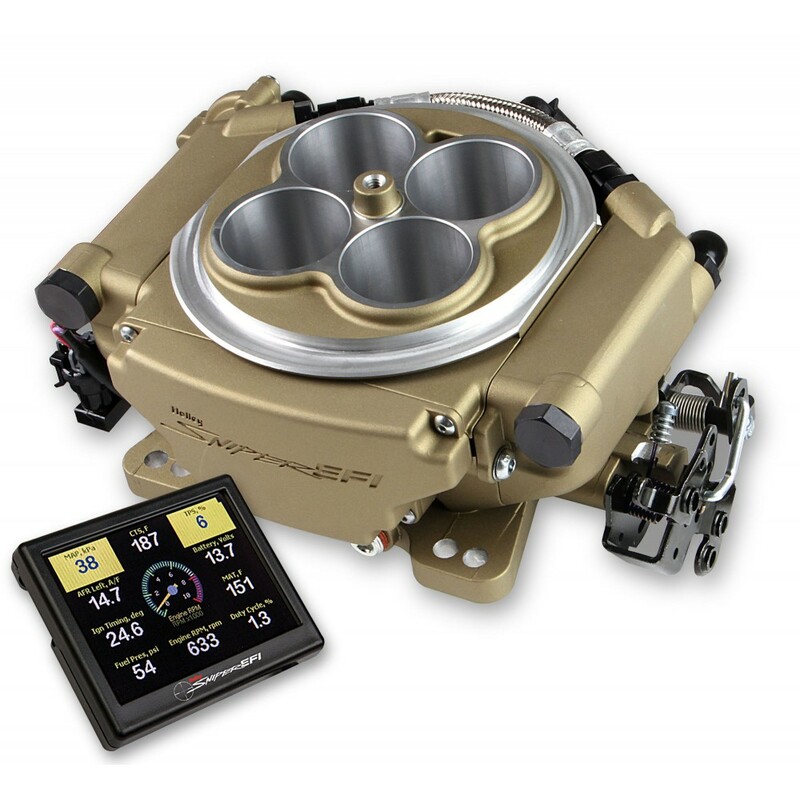 So if you are safely inside of the horsepower requirements of the 4-injector version you can use that extra money for other upgrades...like maybe a nice set of gauges or 7.5-inch Digital Dash driven by your Sniper ECU! So What Makes This Sniper EFI System So Super? Well, we've already mentioned the availability of 8 injectors and the standard 2.5-bar MAP sensor. But Holley knew you'd want more--and they delivered. Draw-Through Supercharger Applications: The Super Sniper allows you to run a remote MAP sensor so that you can read the manifold pressure beyond the supercharger. They did this by tapping the existing MAP sensor port and including a 10-32 set screw. Install that set screw, and then connect a vacuum line to the manifold. Easy! More Inputs and Outputs: Hey, the original Sniper was able to do quite a bit with it's two programmable inputs and 3 programmable outputs. So you can only imagine what you can do with an extra 8-pin harness that provides not only three more programmable inputs and three more programmable outputs, but also Senssor power and ground for a 0 to 5-volt sensor. That means the Sniper Sniper can monitor, log, and display fuel and oil pressure! This blows the competition away! CAN Bus to USB Adapter INCLUDED: Holley understands that the target audience for the Super Sniper is a bit different than that of the standard Sniper. Where the standard Sniper will appeal more to the enthusiast who might not need to utilize the Sniper software. Since most Super Sniper buyers will find that laptop tuning is non-optional, the CAN Bus to USB adapter cable is included in the kit. Turbo and Supercharger Setup--RIGHT IN THE SETUP WIZARD! Pardon the enthusiasm but this is a HUGE benefit over the standard Sniper EFI System. In the original Sniper you had the option of boosting the engine, but it was anything but "plug and play". You went through the standard setup and answered all of the questions. Then you had to use the Sniper software to both re-scale the fuel and ignition tables for your boosted application and then build a whole new fuel and ignition curve (not to mention the target AFR table, etc.) NO MORE! Just select "Turbo" or "Supercharger" in the setup wizard and you're well on your way to tuning bliss! 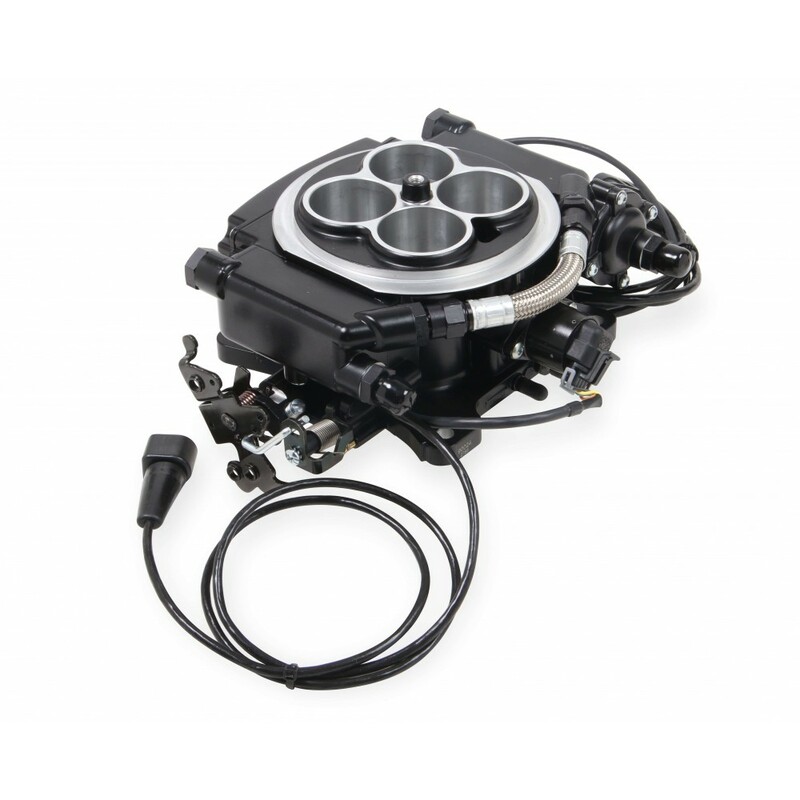 Plug-And-Play compatible with the new Holley EFI Hyper-Spark Distributor The HyperSpark is the PERFECT distributor for throttle body injection applications. Because these applications do not require cam sync, that feature is left out to give the owner all of the benefits he or she would get from using a Holley Dual-Sync Distributor on their TBI system, but at a much more reasonable cost. Watch this space for product availability! The ECU is in the Throttle Body--No boxes to mount, no complex wiring harness to run! Self-tuning--no laptop or software required! People ask us what is the difference between entry-level EFI Systems. The deal maker for us is the amazing Sniper software! Hey, what you can access and control via the included 3.5-inch touchscreen display is very impressive. This added software is not necessary for the vast majority of Sniper EFI users. But there are a few folks out there who wanted full-featured tuning capability. Well, here it is! What can you do with the laptop software that you can't do with the handheld? Well, you can tune your Sniper to work with boosted engines up to 1.5 bar of boost (using the 2.5-bar map sensor that came on the Sniper) or configure an external MAP sensor to run even more boost. It is important to note that this software deviates from the basic concept of EFI for Everyman. 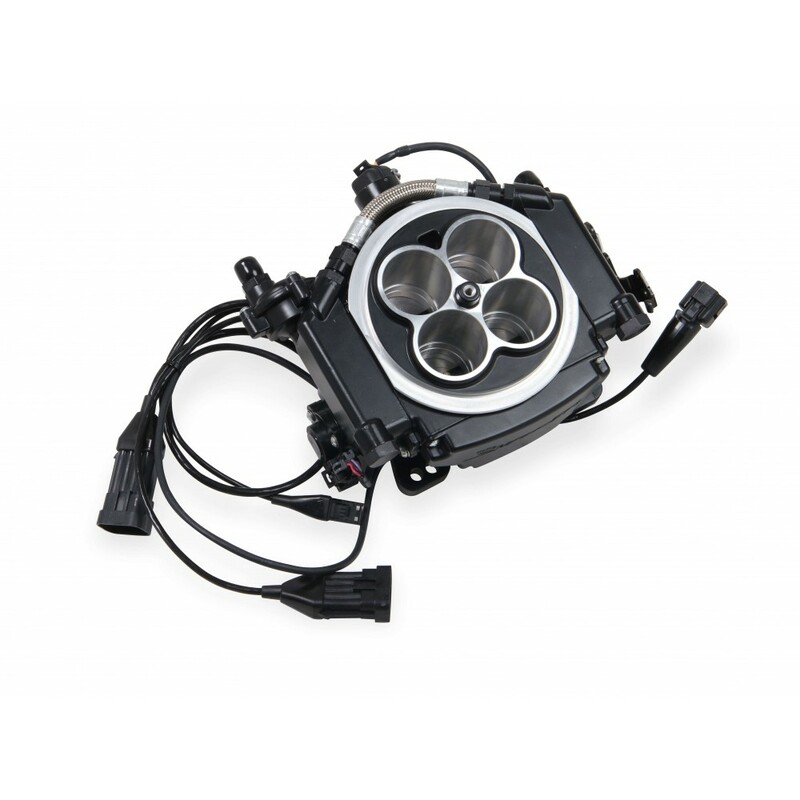 While it is easy to attach the included USB adapter cable, download the Sniper EFI Software, install, connect, and run, learning EFI tuning is challenging to say the least. But we here at EFISystemPro.Com are excited to guide you in your learning. You will need an EFI Fuel System. We have several solutions! 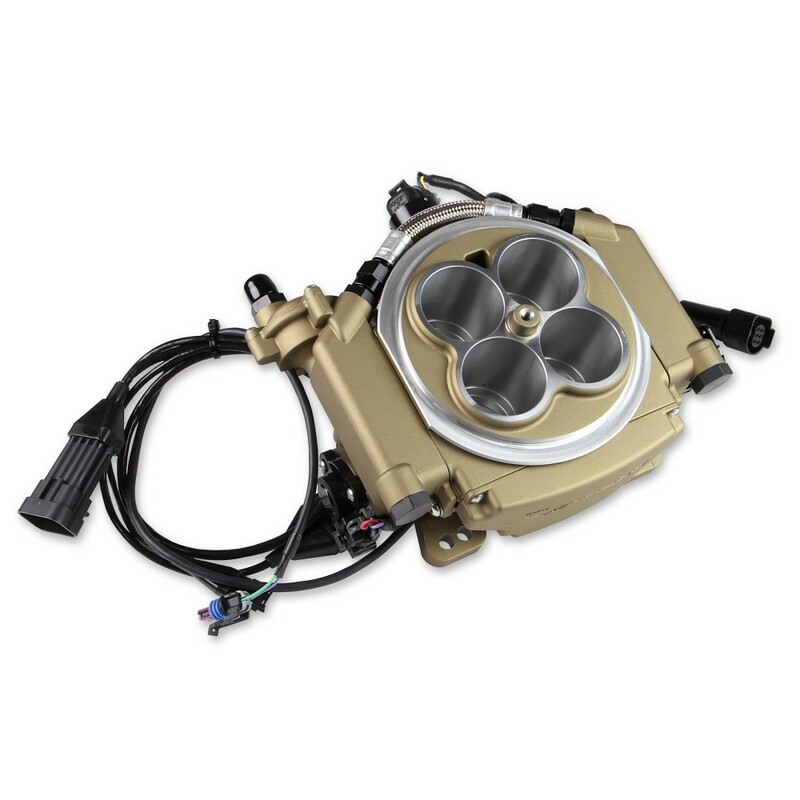 A complete EFI Fuel Tank System is also a great choice. Be sure to opt for the 400 LPH pump if you will be making over 630 NA HP. If no complete Tank solution is available for your vehicle but you still want the benefits of an in-tank pump then one of these Retro-Fit Fuel Tank Modules is the right answer. 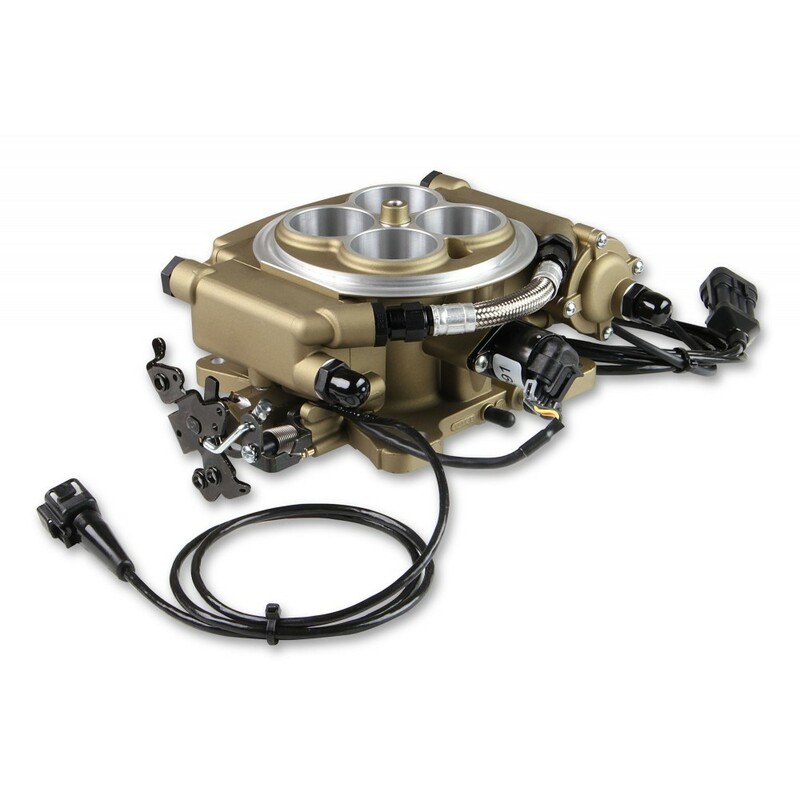 In this case, opt for the 450 LPH version to get the fuel you need to feed the eight-injector Super Sniper. 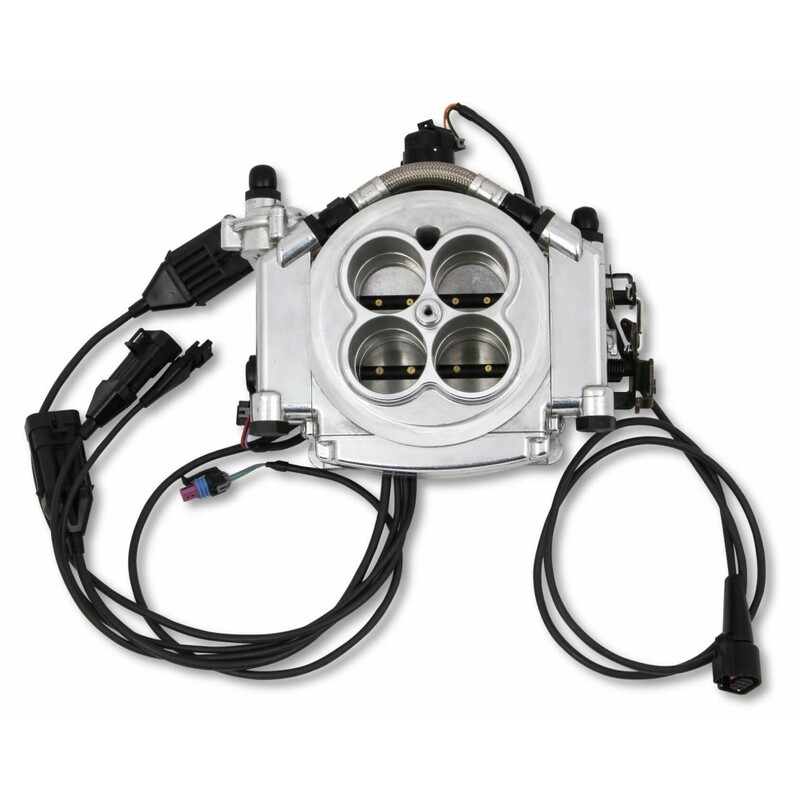 If you have a racing fuel cell with a 6- or 12-bolt flange around the filler neck then one of these Fuel Cell Tank Modules is ideal, with fuel pump options providing over 1000 LPH! The Sniper Master Kit with inline fuel pump and OE Style Fuel Modules are both great solutions but at 255 LPH would only be appropriate for the four-injector Super Sniper. You absolutely will want a way to confirm your fuel pressure. The Fuel Pressure Gauge is a cost-effective solution but with the added Super Sniper you can add a Fuel Pressure Sensor, allow you to display and data-log fuel pressure. Those who don't install one with their EFI system are invariably the ones who end up needing it. Don't be that guy! The Super Sniper EFI System has the capability to control ignition timing in addition to providing fuel injection. If you choose this then we recommend you upgrade to the HyperSpark Distributor System. 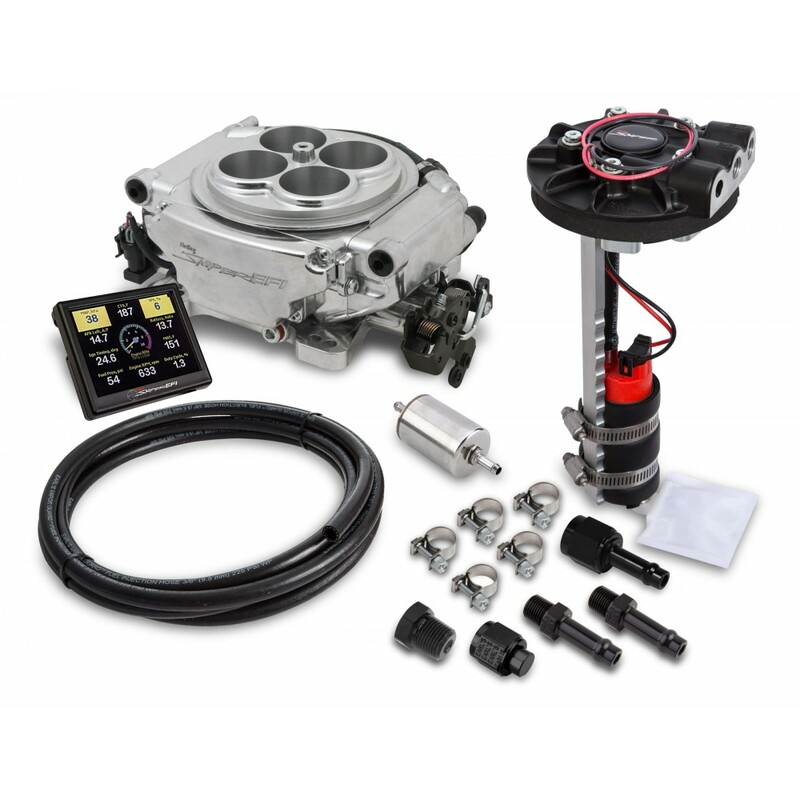 Holley is not yet offering a master kit for the Super Sniper EFI System. And since the master kit for the original Sniper EFI System will only produce enough fuel for about 630 naturally aspirated horsepower on gasoline, that's probably not going to be enough for Super Sniper owners. But this is the goodness of buying from EFISystemPro.Com: Fuel systems are one of our specialities! We will gladly assist you with building a fuel system that is more than capable of feeding every horsepower that the Super Sniper is able to produce. Contact us to find out more! Everyone says, "Buy From EFISystemPro.Com". Why? When you buy it here at EFISystemPro.Com, that means we're on standby to answer your questions. Our level-3 tech support will gladly talk you through any challenge--just try to get that sort of personal service from a big-box auto performance store! Because here at EFISystemPro.Com, our look is high-end professional, but our service after the sale is home-town helpful! Not Sure? Review this product documentation before you buy! Configurable Monitor dozens of pre-configured metrics provided by the ECU, including sensors, air/fuel ratio, switched outputs, drive-by-wire data, and more. Flow Rate (GPH) Master Kit Only: 67.4 GPH (w/526-5 and 526-7 version). Flow rate of 526-8 is significantly less. Flow Rate (LPH) Master Kit Only: 255 LPH (w/526-5 and 526-7 version). Flow rate of 526-8 is significantly less. 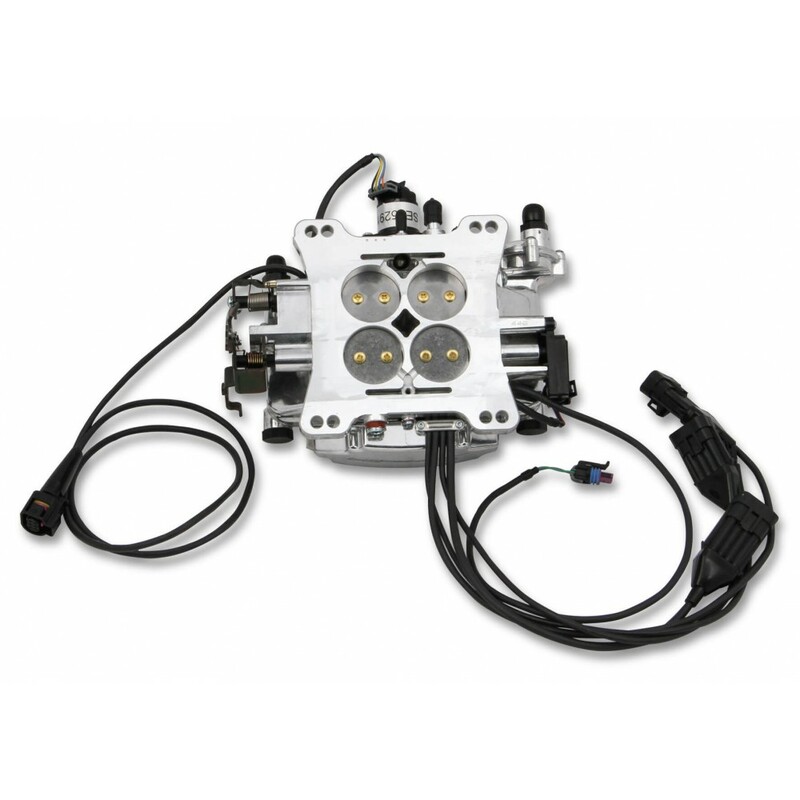 If you are using a Holley Dual-Sync Distributor with your Sniper EFI System this adapter harness mak..
Did you know that you can unlock even more tuning capability in your Holley Sniper EFI System? ..
Ok, so those clamp-on style O2 sensor bungs are cool if you are doing a quick installation and don't.. This 10-pin metripack connector kit lets you create your own custom wiring harness for your Sniper I..
Just because you're a decent mechanic doesn't mean that you have a degree in welding--nor does it m..
ECU-controlled ignition timing control is far superior to standard mechanical and vacuum-based ignit.. 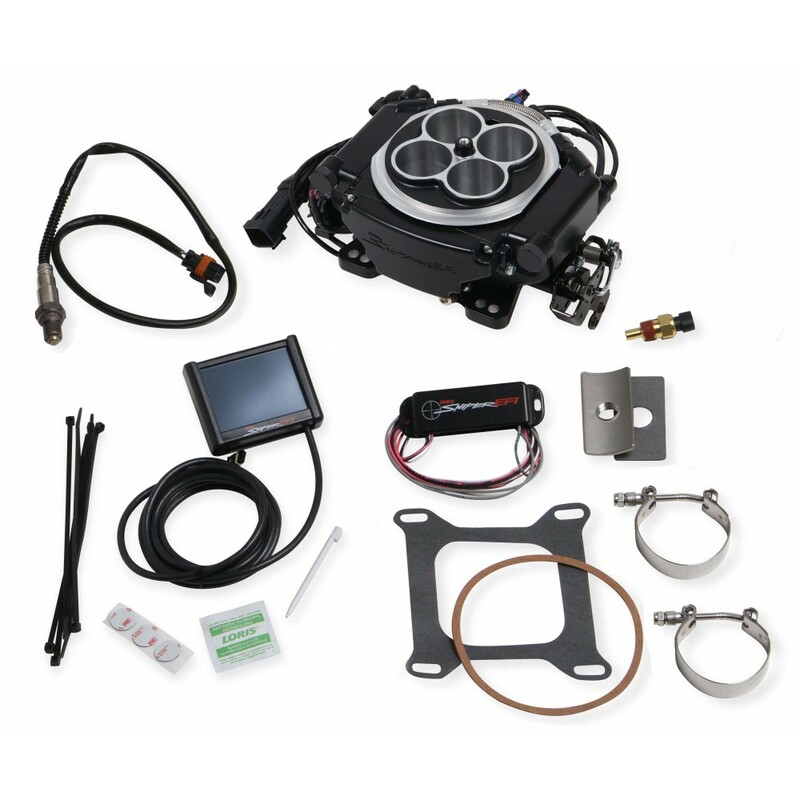 This is the exact fuel system kit included with the Sniper EFI System Master Kits. It includes.. 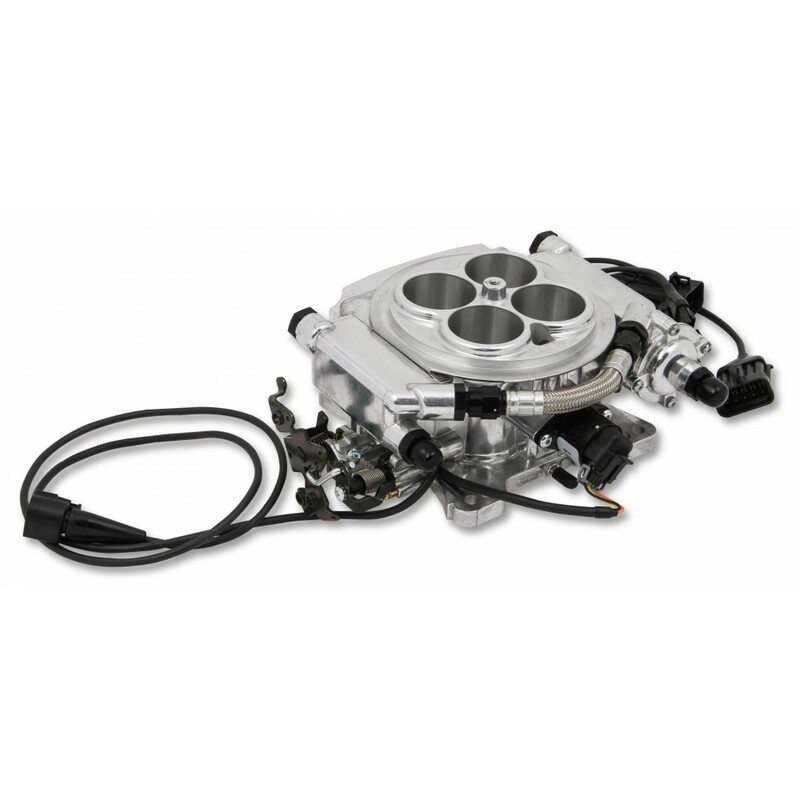 The new Holley HyperSpark was designed to work with the Sniper EFI System with no adapter. But..